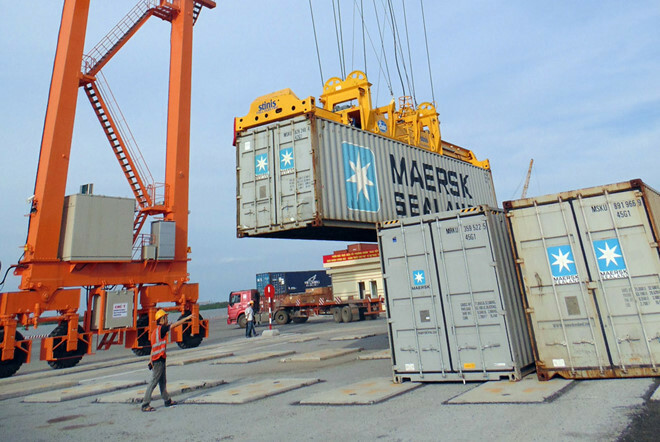 Two reports released by the World Bank (WB) on January 7 provided new insights on Vietnam’s freight logistics sector, including inland and coastal waterways, highlighting that it can be a new driver of growth for Vietnam. The report “Efficient logistics: A key to Vietnam’s competitiveness” found that logistics operations in Vietnam are costly relative to key regional peers like China, Malaysia, and Thailand. It is estimated that Vietnam’s shippers spend approximately USD100 million annually in extra inventory carrying costs incurred due to import-export clearance delays; and this amount is projected to reach USD180 million by 2020. Various factors contribute to the high cost, such as cumbersome and inconsistently applied government regulations and major supply-demand imbalances in infrastructure provision, just to name a few. “Many of the country’s past sources of economic growth, such as a shift in economic activity towards higher-productivity manufacturing and a rapidly growing labor force, are quickly depleting and need to be replaced with new sources of productivity growth. Moreover, Vietnam’s exposure to the risks caused by climate change, such as sea level rise and increasingly unpredictable severe-weather events, make it imperative for Vietnam to find less carbon-intense development trajectories. We believe that more efficient transport and freight logistics can play a critical role in meeting both these challenges”, said Ms Victoria Kwakwa, the WB Country Director for Vietnam.However, these drawbacks can be reverted if the country adopts a number of actions, such as minimizing paper-based processes in the customs and technical clearance of imports and exports, and creating “multimodal logistics corridors” where containerized flows on trucks or barges can move on adequate infrastructure and with minimal regulatory delays. Opening the logistics market and promoting a more sustainable supply-demand balance in the trucking industry can also help. “Better performing logistics can provide international and domestic investors with an environment where they can source products for export at a lower total landed cost than what they incur in other countries. A stronger logistics sector is also consistent with Vietnam’s long-term vision of spurring export-led growth”, the report argued. Meanwhile, “Facilitating trade through competitive, low-carbon transport”, a report on Vietnam’s inland and coastal waterways, showed that further investment in Vietnam’s inland waterway transport and coastal shipping sector can bring about significant economic returns, as the sector offers attractive economies of ship size. Investment in waterborne transport go well beyond the need to match demand and supply, as larger barges not only result in lower unit transport costs but also lower emissions of pollutants and greenhouse gases – a major benefit to Vietnam, given the country’s exposure to the risks caused by climate change. It provided a number of recommendations to realize the potential benefits of waterborne transport, including capacity expansion for the corridor linking Vinh Long and Ho Chi Minh city – including the Cho Gao canal, the network’s most pressing bottleneck at present. Investments in the Northern corridor from Quang Ninh to Phu Tho provinces also appear to be economically viable, as well as a dedicated coastal shipping terminal at Hai Phong port. The Bank also suggested the establishment of a Waterway Maintenance Fund to better pay for maintenance of the core sections of the national inland waterway network.